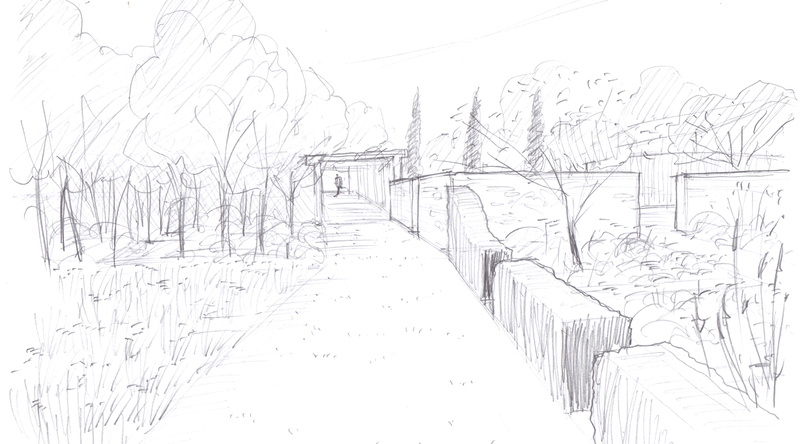 We are creating a series of garden spaces for a large country house and stables in the Cotswolds. 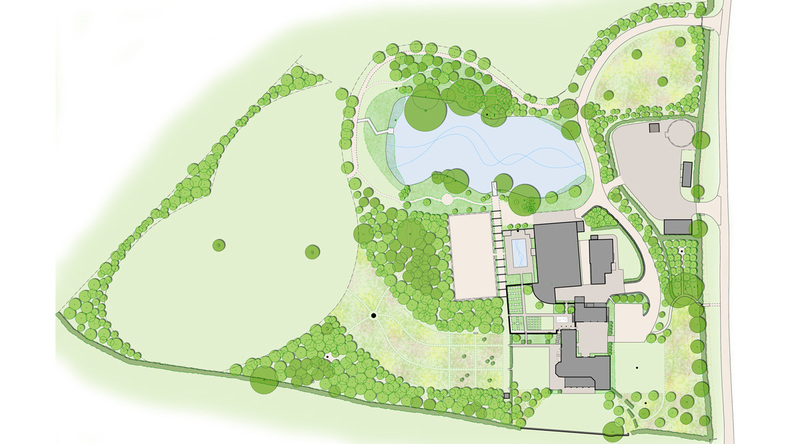 This new house is located on the site of an old Roman tilery that exploited the heavy clay soil. 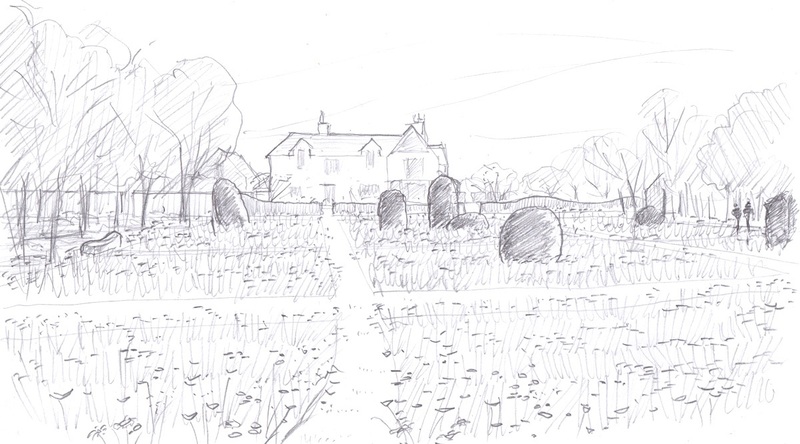 As the house is newly built and the surrounding landscape quite exposed, there was a need for structure which we have provided in the form of a walled garden for growing herbs, fruit, vegetables and flowers for cutting. 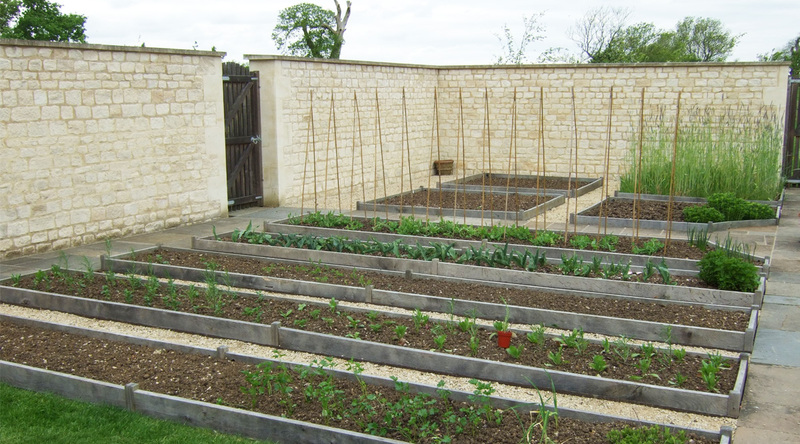 This sheltered walled garden is the hub from which all the other garden spaces flow. 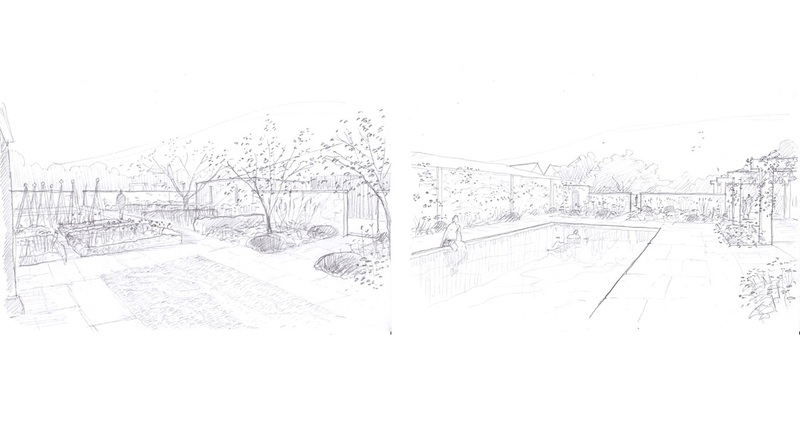 To the north of the walled garden is the swimming pool garden; with a pergola running along the western side that screens a tennis court. 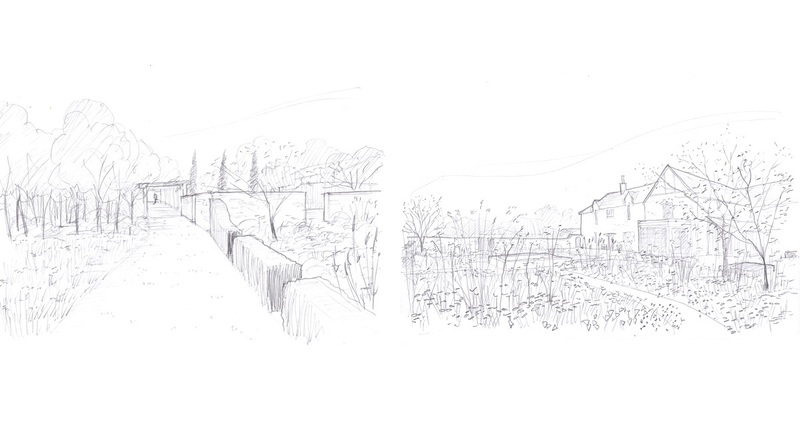 To the south is the Family Garden which is defined by a deep ornamental border along the southern face of the garden wall and a sculpted yew hedge to the west leading to the meadow and paddock beyond. 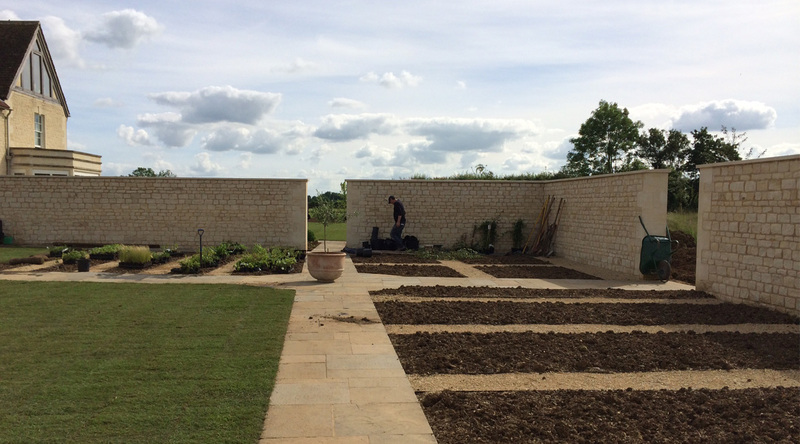 The walled garden, Pool Garden and Pergola walk were completed in autumn 2016. 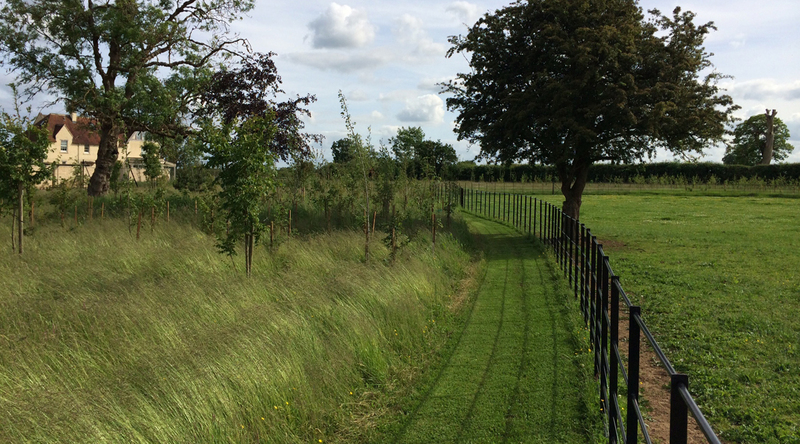 The meadow garden is the garden space between the ornamental garden around the house and the paddocks to the west.